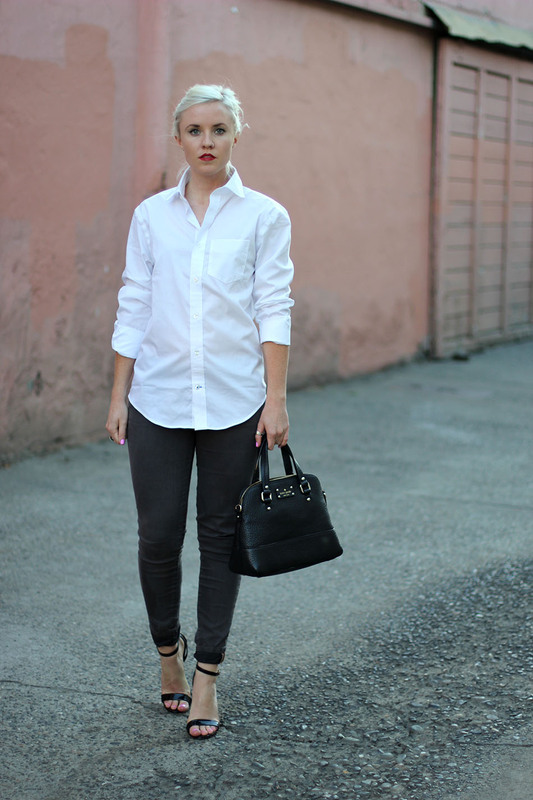 There’s something about throwing on a crisp white button up that makes me feel so put together and sophisticated. Finally saved some money to buy a few fall lipsticks from Mac. I first tested out several cheap shades at the drug store and saw which colors I wore most. I now know which shades work and felt good about my purchase and choosing to invest in those colors. I think this is a good method if you’re wanting to try out new shades but don’t want to fork out the cash just yet. I have this idea of myself in my late 50’s lounging all day in a big artist like button up, sipping black coffee and painting huge canvases in my fabulous loft studio. Can’t get this idea out of my head! Do you have ideas of what you will be like when you’re old? I think about it all the time and hope I’m not alone in that. What will you wear? What will you care about? How will you spend your time? Toodles! Simple and perfect, impossible to not love it! 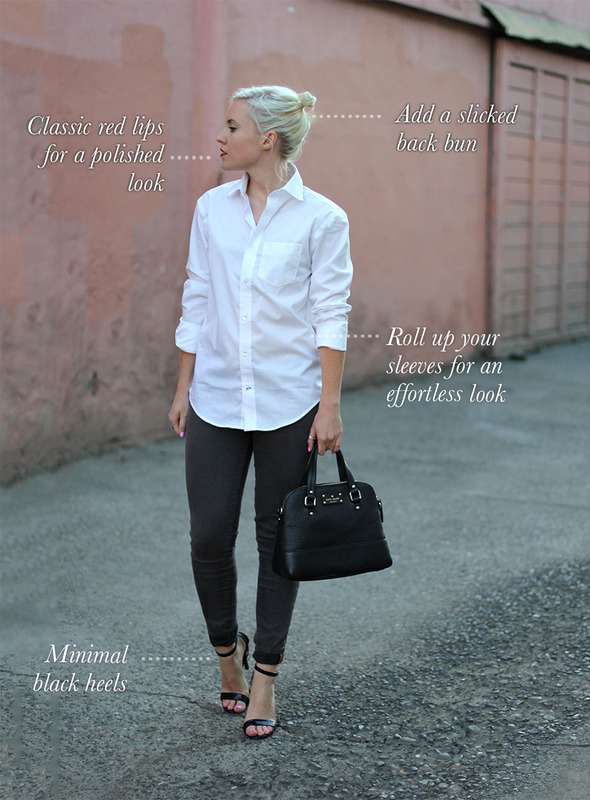 love this idea of ‘get the look’! Simple and classy. Love it. You look so classic and chic! 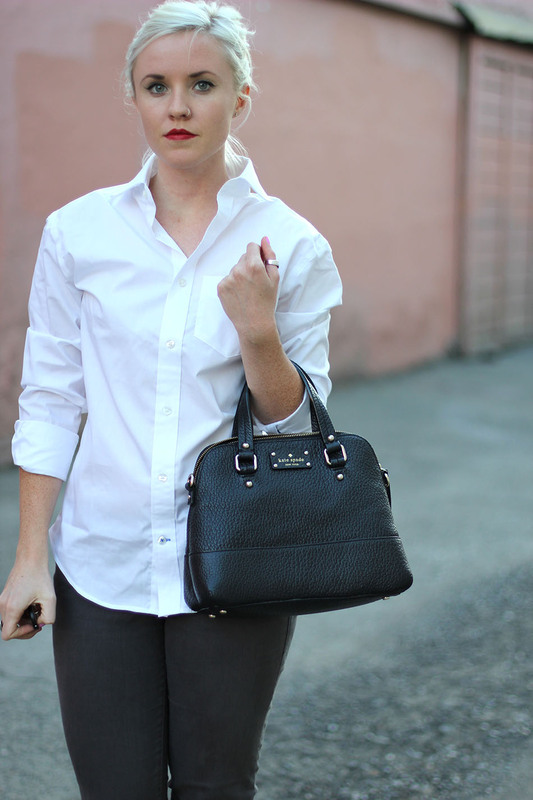 Love the addition of the red lip!